How do you develop the craft and skills of stage management for today's theatre industry? And how can these same skills be applied in a variety of entertainment settings to help you develop a rewarding and successful career? Drawing on his diverse experience working with companies from across the performing arts spectrum in venues from the Hollywood Bowl to the Barbican Centre in London, Michael Vitale offers a practical resource on the art of stage management for new and established stage managers. 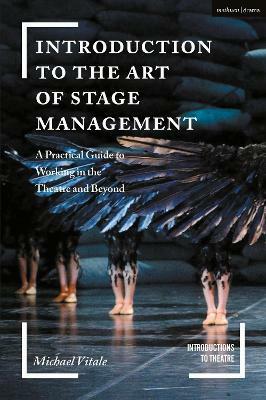 Besides providing detailed coverage of the role within theatre, the book uniquely explores the field of stage management in numerous branches of the entertainment industry. From theatre, opera, and theme parks, to cruise ships, special events, and dance, stage managers are an integral part of keeping productions running, and this book offers guidance on each distinct area to equip you for a varied and successful career. Written with candour and filled with real-world examples, the book examines the nuts and bolts of the job at each stage of the production process: from preproduction, room rehearsal, technical rehearsal, through to running the show. Vitale considers the skills needed to work with a myriad of different people, explores the traits of a successful stage manager, and helps you to hone and evaluate your own practice. Whether you are exploring the field for the first time or are a veteran looking to diversify your resume, Introduction to the Art of Stage Management will provide insight, practical information, and useful tips to help along the way. An accompanying Companion Website features a range of time-saving templates and forms, such as schedule templates and scene samples. Michael Vitale is the Production Manager for the Los Angeles Philharmonic. Prior to taking this post, Michael worked professionally as a Stage Manager and Educator, primarily in the Los Angeles area. His professional Stage Management credits include projects with the Los Angeles Philharmonic, Hollywood Bowl, Los Angeles Opera, Center Theatre Group, Geffen Playhouse, Pasadena Playhouse, and Barbican (London, UK). Michael also had the pleasure of serving as a Professor at California State University, Fullerton and Pomona College, USA.